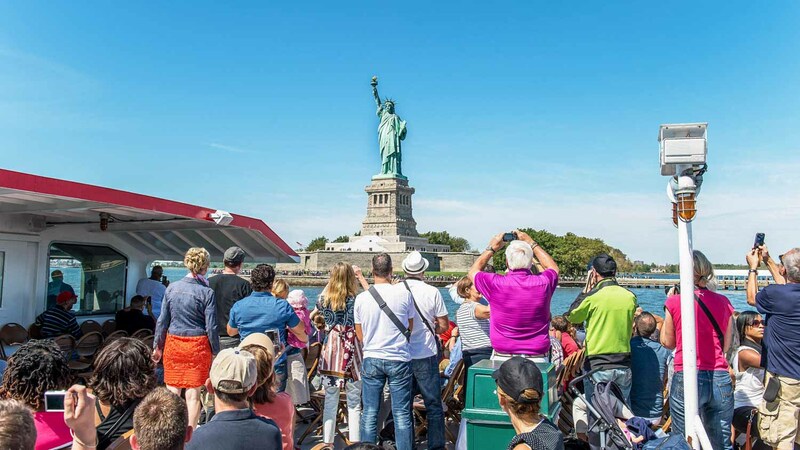 A symbol of freedom in the New York Harbor, the Statue of Liberty will give you a thrill the first time you spot her, whether you catch a glimpse from land, hop on a cruise, or get up close and personal on Liberty Island. Enjoy the view! You can’t miss the ferry terminal next to Battery Park. Free, running every 30 minutes, and offering perfect views of the Statue as it passes, this is a 25-minute iconic boat ride. Visit the lady herself. 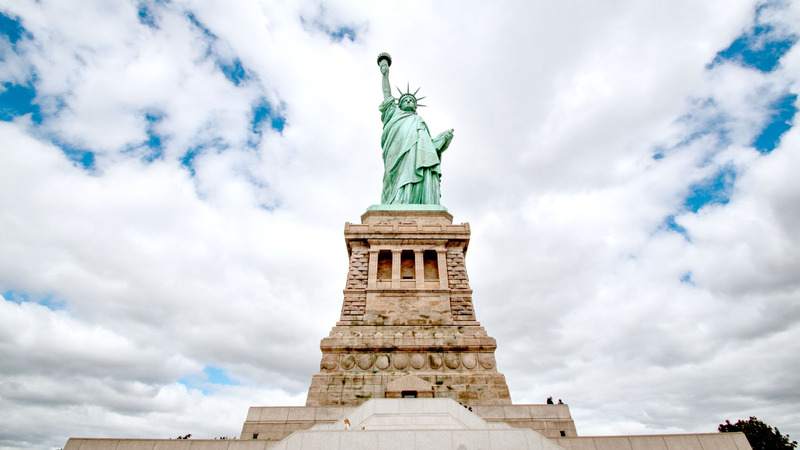 Boat tours take you to Liberty Island, where you can climb inside the Statue of Liberty. There’s also a chance to stop at Ellis Island on the same trip. 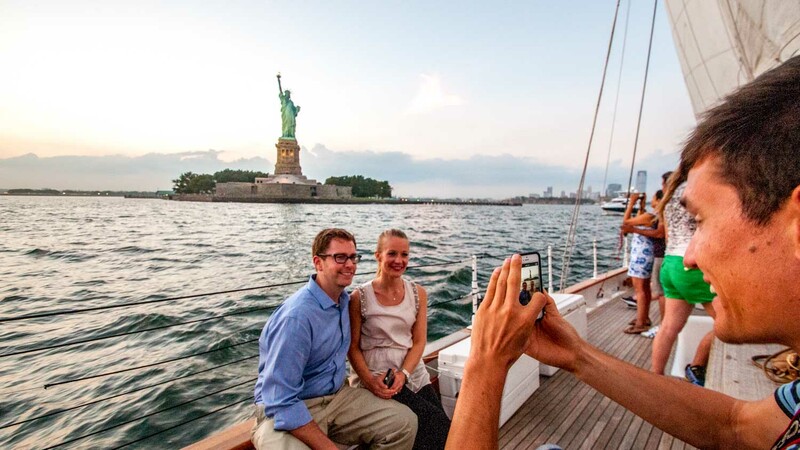 Cruises tour New York’s harbor, offering the best views as they sail past. 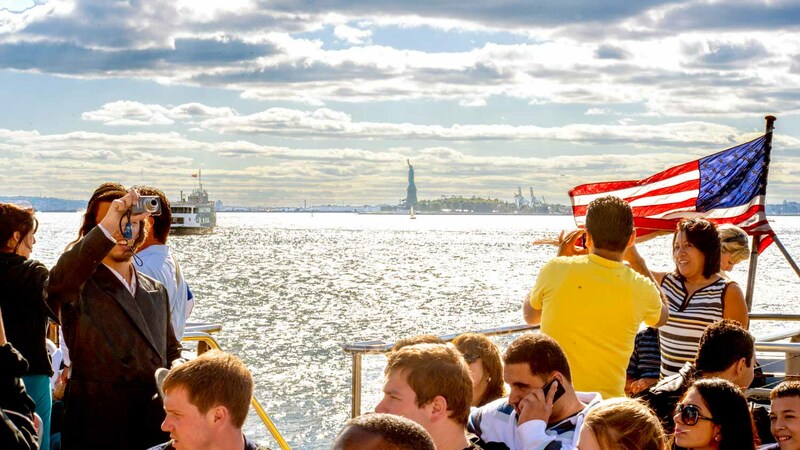 The best way to see the Statue of Liberty at night is on a fancy dinner cruise. If you want to stay on land, head to Red Hook - a great neighborhood with views of Lady Liberty from the end of Van Brunt Street or from Louis Valentino Jr. Pier and Park. 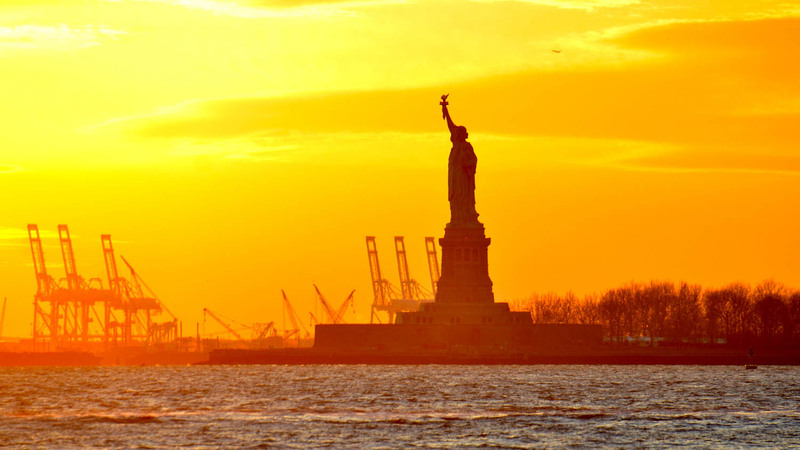 If you want to stay on land, and in Manhattan, enjoy views of the Statue of Liberty from the southern tip of Manhattan while strolling along the harbor through Battery Park. Buy tickets online to avoid the hassle of lines. Keep in mind that if you are going to Liberty Island, take only a small bag. You will be screened by security during admission and backpacks and other large items are not allowed. Pack a snack too! Put on sunscreen in the summer. Great day and our guide Jacob was brilliant. I would really recommend this tour. It was a great informative day. Went early morning so everything was easy. Our guide Jacob was fab, knew loads, kept us all upbeat and was a pleasure to hang out with!! Really enjoyable day!